Oh boy, it looks like EURJPY’s rally is running out of steam. After breaking above the neckline of that double bottoms chart pattern, the pair climbed to the 110.75 area, at which it found resistance. Now that the stochastics seem to be headed lower, downward price action could be in the cards. 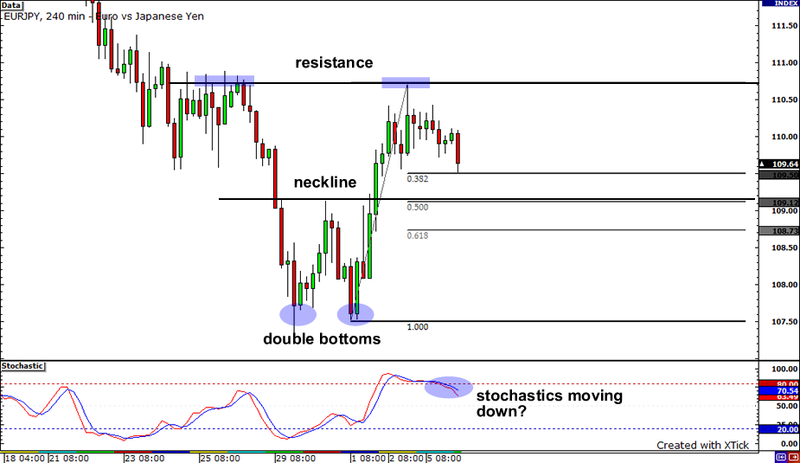 The pair could slide down until the 50% retracement level, which lines up with the broken neckline. But if the pair falls further beneath the 61.8% Fib, it could keep dropping until the bottoms at 107.50. 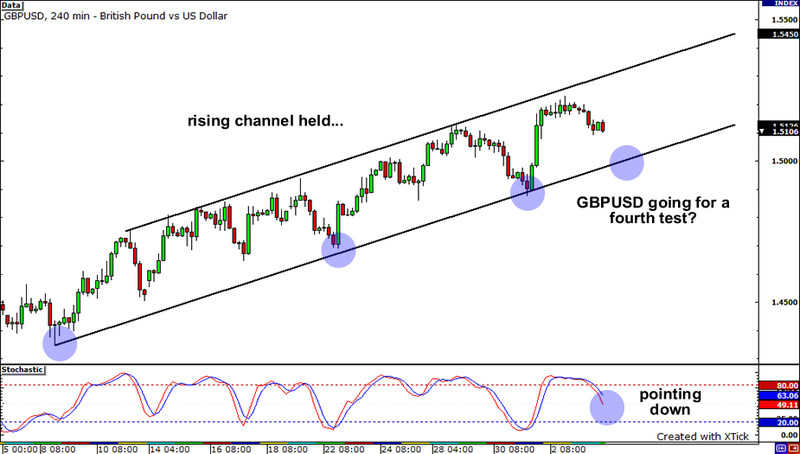 It looks like the rising channel on GBPUSD has kept intact. Price bounced from the trend line resistance and the bears are now pushing it down a fourth test of the lower trend line. Hmm, will support or hold or not? I don’t know for certain, but just a few words of caution… The more times support is tested and the more traders watching it, the more likely it is going to break! 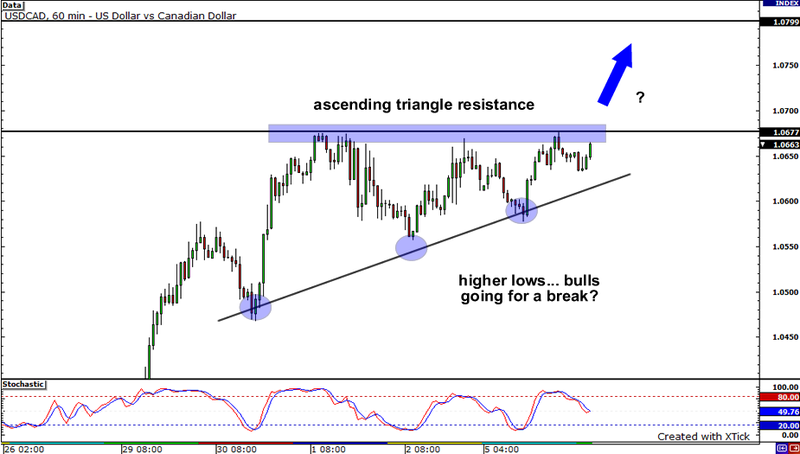 Is that an ascending triangle I see on USDCAD? Hah, it sure does look like one, as price is making higher lows but is unable breach resistance at 1.0680. Considered a bullish pattern, the ascending triangle pattern hints at a possible continuation of the overall trend. In this case, it tells us that the pair could possibly break up for a test of resistance at 1.0800.